Grab A Coffee & Join Us! I need a reliable Mansfield Taxi Service? Don’t worry, Pirate Cars are a very reliable Taxi Service and although we are based in Sutton In Ashfield we operate regularly in the Mansfield area and do not charge any extra for travelling to pick you up from Mansfield. Where can I find a Late night Taxi service? 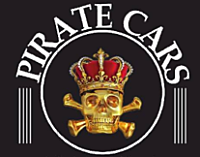 Pirate Cars are ideal if you’re looking for a late night Taxi service as we operate 24 hours a day, 7 days a week. Our operators are waiting to answer your call whatever time of day it is. Call us now on 01623 247 247. Where can I find Mansfield Taxi firms that do Airport runs? If you’re looking to go on holiday and need taking from Mansfield, Sutton In Ashfield, Kirkby In Ashfield or any of the surrounding areas to an Airport then feel free to call us.